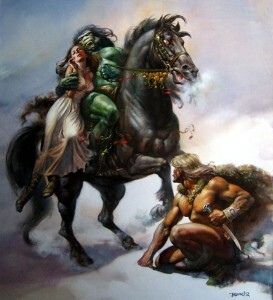 The new Ultimate Fantasies sequence (Orion) gave me a good excuse to explore the Golden Age of Fantasy. 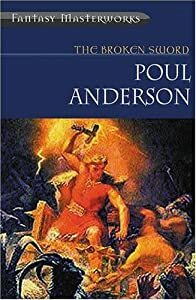 Some of these titles I had already read – albeit as a boy – and others I had come to by proxy, as in the case of Conan, familiar with the character through comic books and film. There is, of course, the Fantasy Masterworks Series, which includes these eight volumes in the Ultimate Fantasies sequence. Nevertheless, arranged chronologically, the Ultimate Fantasies sequence presents an excellent overview of the genre and a basic map of its evolution. An interesting consequence of this journey was a deeper understanding of influence in fiction. From the outset, I could read between the fairy-dusted pages of Lud-in-the-Mist and see the seeds of other novels, whether these seeds were intentional, actual or not. Bilbo Baggins appears to have had a ruddy-cheeked forebear in Nathaniel Chanticleer, the pot bellied, daydreaming mayor of Lud. The fairy fruit smugglers upset Mayor Chanticleer’s everyday world in an anarchic manner I’d not encountered since An Unexpected Party. And in Lud, it seems, are the ripples that later touched such magical tales as Susanna Clarke’s Jonathan Strange and Neil Gaiman’s Stardust.